“There are many ways to skin a cat” as the saying goes. When it comes to growth and expansion of a company, there are equally many ways. Growth may come through expansion within current location or into new geographical markets. Expansion may come through franchising and more importantly, expansion may come through diversification. In this chapter, we will focus on rapid growth and expansion through diversification. Our case study will be Philly and Mools Limited – a medium sized company founded by Oyeniyi Oguntoyinbo (Niyi), a graduate of Economics from the University of Ibadan, Nigeria. Diversification is a form of growth strategy; a corporate strategy to enter into a new market or industry which the business is not currently in, whilst also creating a new product for that new market. Typical examples of diversification can be drawn from the Virgin Group which started from music production to travel; Canon from camera-making into producing office equipment. Philly and Mools commenced operations in 2003 selling “Tokunbo Cars” – a nice name given to imported used cars. In order to distinguish himself from competition, he focused on importing from America, used cars with track records. He had software that he could use to determine for instance if the car he wanted to purchase had been involved in an accident, the service history, etc. That way, he knew what he was selling to his customers. To guarantee his customers peace of mind, he opened a small garage where he serviced and maintained the vehicles he sold. In 2006, opportunity knocked on his doors. Many people were asking for new cars rather than the Tokunbo cars. Rather than say he didn’t have, he bought from his competitors and made a small margin. As the months rolled by, he noticed he was selling more new cars and making reasonable margin. That was what led him into diversifying into importation of new cars. Based on his philosophy of after sales services, he then upgraded his mini garage into a full-fledged service garage. He was then able to service any car, including those not bought from him. Customers are pointers to diversification; listen to them! Minimize your risk by testing the water. Niyi did this by selling for competition and making a small margin. Two years into the importation of new cars, he was selling to his competitors. In order to increase sales (growth) he sold to corporate buyers that bought 5-10 cars at a time. Then he sold to co-operatives. One of such are those that operated taxis. He helped them structure the financing and instead of selling one or two cars, he was selling 20 cars. Then came another opportunity for diversification – instead of selling cars to taxi cooperatives, why can’t he set up his own Taxi Company and sell to himself? That led to his 4th company METRO TAXI. 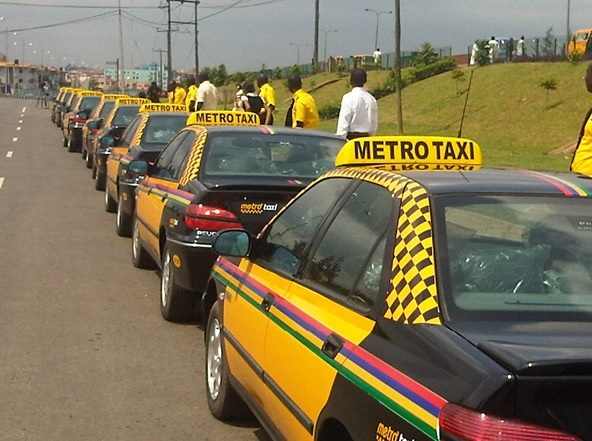 Metro Taxi was set up to bring a new experience to passengers. Prior to this time, taxis offered their services on a “fixed price” per trip basis. Passengers never knew if they were over charged or not. Niyi introduced meters and the customers had a choice of using meter or fixed rate. He trained his drivers and called them Pilots. He wanted them to be different. To guarantee efficient service delivery, he opened a 24hr call center, where Taxis could be booked and complaints lodged. Due to erratic public power supply however, he had to invest in generators as power back-up. In order to keep costs down, he also invested in inverters (an alternate energy system to power his call center). His experiences led him to seizing yet another opportunity – providing power back-up systems using inverter technology. That was how his 5th company Fleming Global was formed. If you are experiencing challenges in your business operation, the chances of others experiencing the same is high. It may be a signal for diversification. Diversification gives you the motivation to be different and test new hypothesis in new markets. Niyi did this by introducing meters and call centers. These were not common then. Human Capital development changes mindset. Ordinary service can be carried out in extra ordinary ways. Diversification and wanting to be different may provide the motivation. ​As the stock of cars Philly and Mools sold grew, so were the demands of his customers. The Garage business had grown into three locations just as Metro Taxis needed more back up services. Logistics became a nightmare. Or should I say another opportunity? So, he set up his 6th company -“Auto Recovery”. New cars arrive daily to various ports and must get to their destinations; Philly & Mools couldn’t afford to drive these cars one at a time. There are concerns of safety, accidents, etc. while in transit. So, ‘Auto Recovery’ manages all of these for the Philly and Mools group and its clients. Niyi’s overall thinking was to provide an end-to-end solution to transportation issues in Nigeria. His company had much capacity which was mostly under-utilized; one of such is the limitation of services to individuals and targeted groups. Not all individuals could afford to hire a taxi. From identifying gaps which existed in the services of the only organized mass transit bus company – “LagBus” owned and managed by the Lagos State Government Agency at that time, came yet another opportunity - “Metro Bus”, the 7th company in the row. Prior to launching Metro Bus, the desired comfort by the public while commuting in the available mass transit bus scheme was lacking. This created a foundation for Niyi to build on. Metro Bus then introduced fully air conditioned buses with enabled Wi-Fi services (FREE) so that the masses can be productive in a relaxed atmosphere while in transit. In some cases, seats could be pre-booked. This was the first of its kind in Nigeria and in the city of Lagos especially characterized by heavy traffic. Branching off from this initiative is also providing transportation services to staff of organizations – usually called staff bus. This will enable interested organizations focus on their core areas and outsource non-core areas such as transportation services. Opportunity spotting is a road map to success. Understanding the business environment and needs of the market aid successful diversification. Innovation fosters growth. Each time one thinks of diversification, one is determined to do something different. Of all the above, finance is usually the one considered most critical. According to the Ansoff’s Matrix, diversification takes place when an organization tries to grow its market share by introducing new offerings in new markets. It poses great risks as both product and market development is required as well as finance. In Nigeria, financing is not only expensive but difficult to access. It requires collateralization and its mostly short term in nature. Most organizations therefore fund their diversification organically. But diversification raises many issues simultaneously especially when the rate is quite fast! How should the “diversified companies” be organized? Should they be spin offs or be part of a holding group structure? There are advantages and disadvantages both ways. While a holding group structure will leverage on the group infrastructure rather than building a new one for every new company, it will take longer to wean a non-performing company as “Peter may be robbed to pay Paul”. On the other hand, while spinning off diversified companies will accelerate innovation and flexibility in process, they may lose tax benefits a group holding structure will bring. Quality manpower may be a problem but a well thought out human resource development plan will lead to good career path for the employees. In Philly and Mools for instance, the capacity of staff that performed are further developed and they are made to head these newly diversified companies. They are challenged and are motivated to prove their worth. Office politics become complex as everyone struggles for recognition. If this is on the basis of performance, then that may be healthy but if it is based on sentiments, tribalism, etc which are possible, then that could signify the down turn of the organization. Periodically, these diversified companies should be reviewed dispassionately. Those that are non-performing or not contributing to the bottom line above a defined minimum should be allowed to fail fast! Building a unified culture across diversified companies does not come by chance. It takes careful planning and implementation. Having said all the above, diversified companies help to hedge against sectorial risks. Where there is a lull in one sector or segment of the business, the other sector or segment will act as buffer and income will be stabilized. Diversification has been proven as a corporate strategy that propels rapid growth. However, for diversification to be successful, the need for creative financing, critical thinking and innovation cannot be over emphasized. Peter Bamkole pioneered the Enterprise Development Centre (EDC) of the Pan-Atlantic University in Jan 2003 – now one of the top enterprise development centers in Africa and a model which has been replicated in Ghana, Kenya, Tanzania & Rwanda. As the Director of the Center, he is responsible for the overall program development, capacity building and support services to entrepreneurs. He initiated and led several programs including the Goldman Sachs 10,000 women initiative in Nigeria, and was a consultant to the project in Liberia. Peter consults widely in Sub-Saharan Africa on entrepreneurship development and practice. Peter has three decades of cognate experience that spans both the public and private sectors (Oil Industry, Water Supply and Education). He is trained as a Mechanical Engineer in the UK under the British Petroleum scholarship and has an MBA from IESE Business School in Spain and alumnus of Lagos Business School (Chief Executive Program).